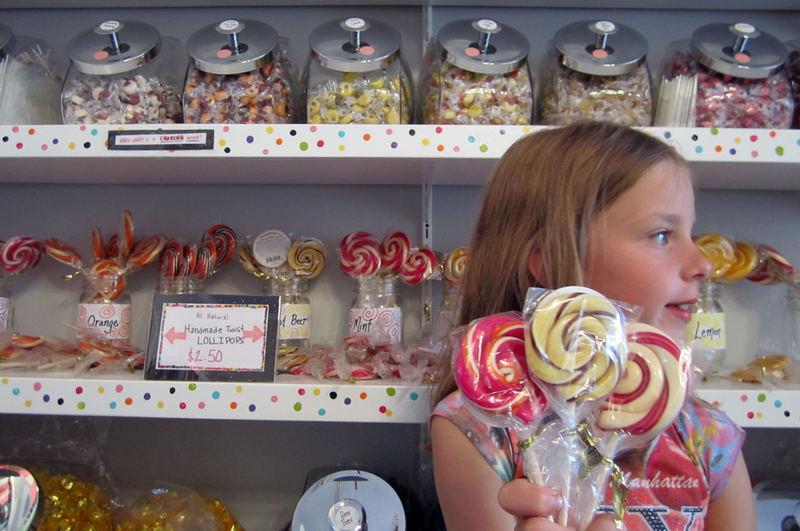 There is a new place in town to get your chocolate fix: High Street Sweets. Lisa and Don Hay, proprietors of the Cothren House, have opened High Street Sweets just in time for this Saturday’s Gallery Night. There is something to satisfy everyone’s sweet tooth, from high-end chocolates made by Gail Ambrosius and Sjolinds Chocolate House to penny candy. 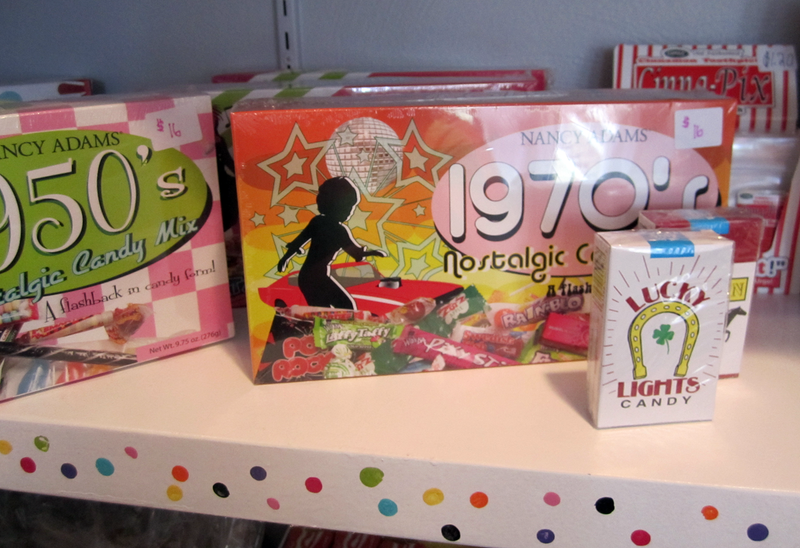 Nolstalgia candy – including pop rocks, necklaces and candy cigarettes. 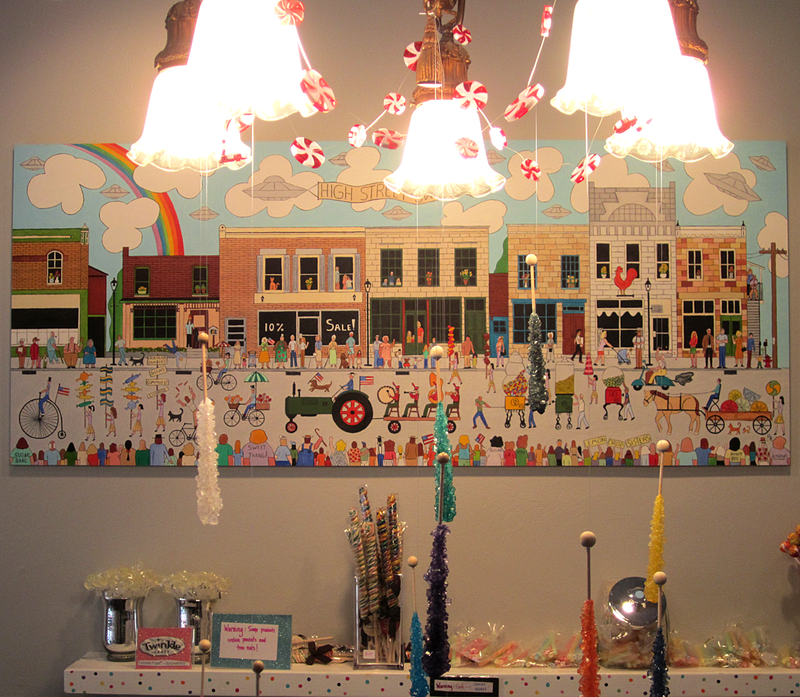 An original painting by local artist and musician Rick Harris hangs above the mantel. See if you can recognize anyone! And, if you’re being good and can resist the bacon-flavored chocolates, the “Beerific Taster’s Box” and, one of my favorites, Swedish fish, the shop also sells clementines in the fridge by the counter. 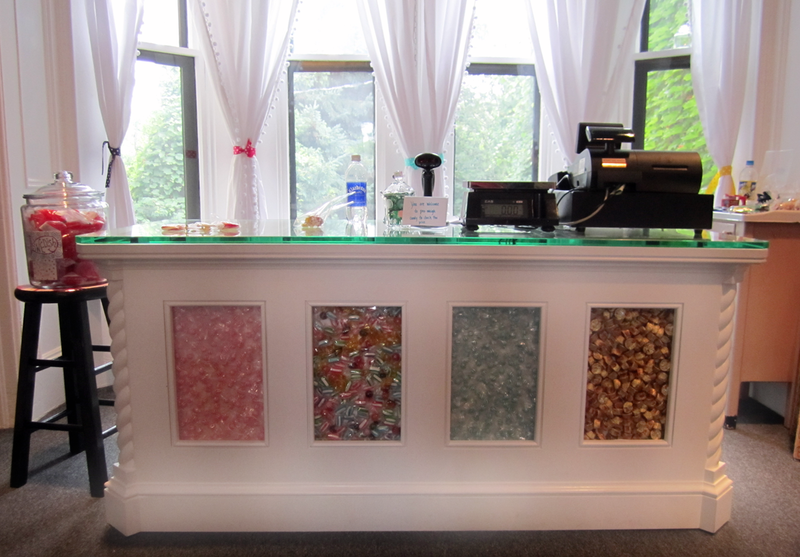 High Street Sweets is open daily from 1 to 6 p.m. It will be open until 9 p.m. Saturday for Gallery Night. Mineral Point’s Gallery Night is 5 to 9 p.m., but most galleries open at 1o a.m. 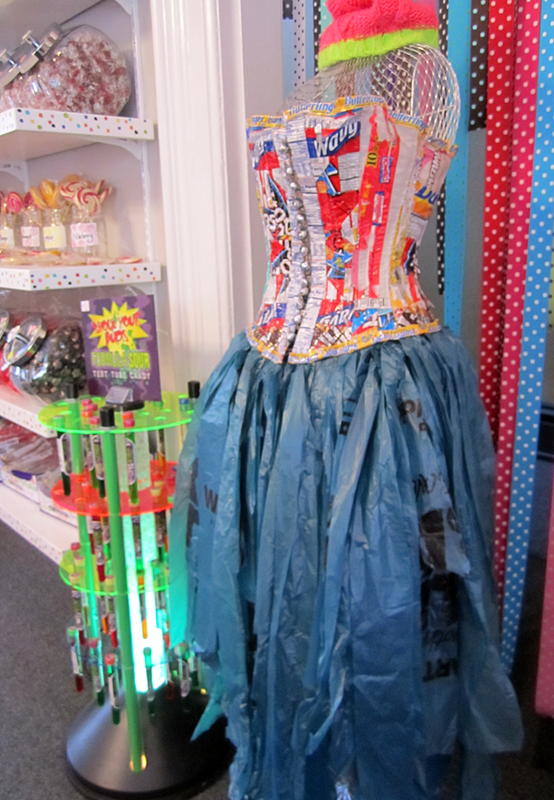 This entry was posted in Family and tagged Don Hay, Gallery Night, High Street Sweets, Lisa Hay, Mineral Point, Wisconsin. Bookmark the permalink. Congratulations and good luck–great addition to High Street. Ut-Oh, I’m in trouble now–our grandkids will be in town this weekend, and we’ll bring them in–I’m sure their eyes will pop when they see all the choices!!! Congratulations and good luck! I’ll put the information in my Calendar Update I’m working on today also. How very cool! Can’t wait to stop by!! Good luck to you! Thanks for the tour of the “sweetest” shop I have ever been to , Lisa! Wishing you the very best in your new adventure on High Street!! !